DAY 01: TOURIST BUS PUNO / CHIVAY: Early morning a guide and driver will pick you up from your hotel to take you to Colca Canyon. 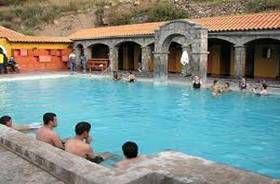 During the journey we will pass over the Peruvian high plateau, making stop at Lagunillas Lagoon where we will see a magnificent geography of the Lagoon surrounded by the mountains of the Andes. On this area there are birds like flamingos and ostrich, also camelids as alpacas, llamas and vicuñas. Then following the journey we will pass over 4528m, making other stop at Restaurant Patahuasi to drink some hot drinks or go the bathroom, anyway the temperature begin to descend. Then we ascend up to 4910m place called Patapampa, from there you can see the great Colca canyon and Misti Volcano (Arequipa). Then we descend to Chivay 3600m, a small town located on the river of Colca valley, arriving about 12:30 pm. Transfer to hotel. 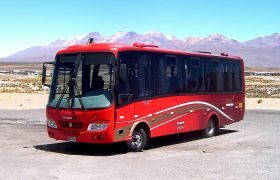 DAY 01: TOURIST BUS PUNO / CHIVAY: Early a guide and driver will pick you up from your hotel to take you to Colca Canyon. 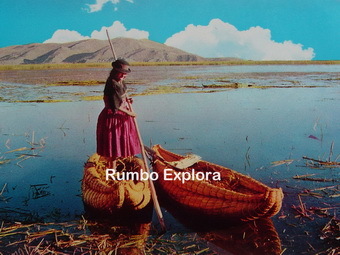 During the journey we will pass over the Peruvian high plateau, making stop at Lagunillas Lagoon where we will see a magnificent geography of the Lagoon surrounded by the mountains of the Andes. 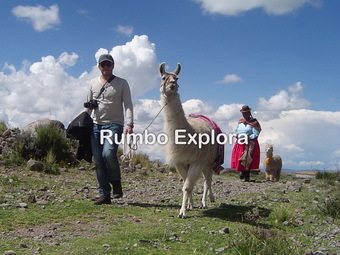 On this area there are birds like flamingos and ostrich, also camelids as alpacas, llamas and vicuñas. Then following the journey we will pass over 4528m, making other stop at Restaurant Patahuasi to drink some hot drinks or go the bathroom, anyway the temperature begin to descend. Then we ascend up to 4910m place called Patapampa, from there you can see the great Colca canyon and Misti Volcano (Arequipa). Then we descend to Chivay 3600m, a small town located on the river of Colca valley, arriving about 12:30 pm. Transfer to hotel. DAY 02: CHIVAY – TOUR TO CONDOR – AREQUIPA: Breakfast at the hotel. 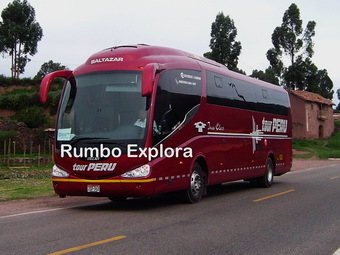 Early A guide and driver will pick you up from the hotel to take you to the viewpoint cross of Condor to appreciate the majestic flight of the condor. 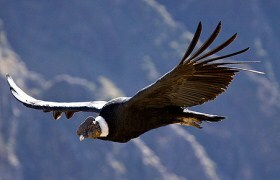 The condor world’s largest bird can fly up to 7000 m of height and live up to 85 years approximately. In Inca times the condor was considered a very special divinity because linked the hanan pacha (mundo de arriba) with kay pacha (mundo donde vivimos). There is a clear hierarchy at lunch time, because the adult males will eat first, then adult females and finally young condors, usually the condor are a scavenger (feeding on large mammals). Usually you can see the condor in the morning, at which time they go out of their caves to hunt mammals. 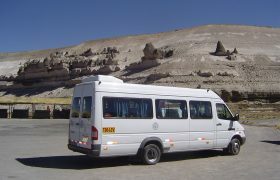 Share the post "Bus Puno Chivay (Colca) + Stops"